One of the most prominent features of E-88 is the absence of the cumbersome air compressor. So one just needs to plug in and spray. Being portable, the Pilot Power Airless Spray Gun can work wonders anywhere, be it indoors or outdoors in order to reach crevices that are generally missed by a brush. Dismantling, cleaning and reassembling consume hardly any time, which makes it a favorite among users. It has a longer lifespan because it uses a stronger pump for an efficient performance. It produces a finer spray because it uses all-metal jets that atomize liquid better. Pressure-screws regulate the force of the spray without any wastage, drips or unevenly painted surfaces. The areas of application include spraying paints and varnishes on furniture, windows, grills, doors etc, insecticides and disinfectants in gardening, polishes on sculptures. It can also be used as a cleansing agent or for Housekeeping departments in hotels. 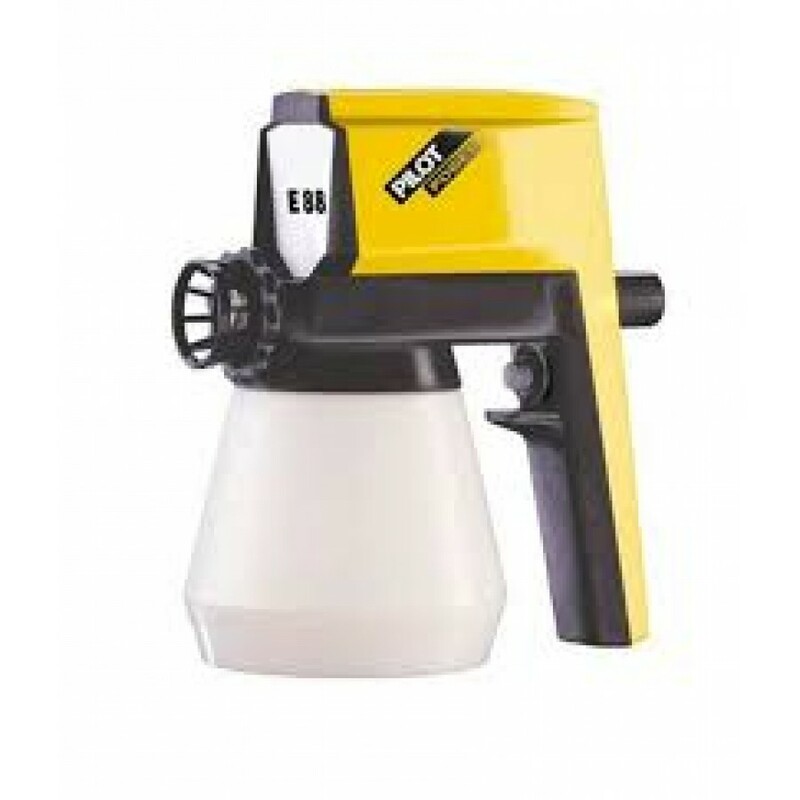 E88 spray gun is an invaluable tool for sculpture painting and a priceless equipment to garages, exhibition contractors, photographers, interior decorators, fabricators for varied industrial applications.